Since 2007, there have been more than 30 million downloads of our desktop gadgets for Windows 8, Windows 7, Windows Vista, Windows Server 2008 and Windows Server 2012. Since Q4 2011, Microsoft has no longer supported the uploading of new gadgets to their gadget gallery, saying they want to instead “focus on the exciting possibilities of the newest version of Windows.” However, this doesn’t mean that gadgets no longer work or that you can’t get them anymore. The most popular, most sought-after and highest-rated gadgets are here. We’re still rolling out new gadgets and updates, and all our gadgets are 100% free for use. Please use our new rating system to rate our Windows Gadgets. Thank you! How to enable Windows Desktop Gadgets in Windows 8 and Windows Server 2012? All CPU Meter is the most popular and sought-after gadget on our website and also in the Microsoft desktop gadgets gallery. This gadget shows your processor usage (up to 2 processors, 16 cores, and 32 threads), RAM usage, CPU frequency, and processor name (Intel or AMD). It also includes sound alerts as well as flyout features that display additional information about your processor, operating system, baseboard, bios, and computer system. Network Meter is an advanced network desktop gadget for Windows. It shows your SSID (Service Set Identifier), signal strength, internal and external IP addresses, blacklisted IP ratio, IP lookup with Google Maps, Internet speed (upload and download), firewall check, remaining data (quota, usage, and day), total data usage, and whether your connection is secure. It also includes flyout features that display all of your network information. Stock Meter can monitor up to 6 stocks, also supports mutual fund, index, ETF and future. It will keep scanning the market every 10 minutes but you can reduce this to 1 minute. To change the stock name you have to click on the stock name or stock symbol. Last updated: 20 May 2015 New! Note: To find the stock symbol you have to search from Yahoo Finance. Currency Meter can monitor up to 6 currency rates (also known as foreign exchange rate or forex rate) for 149 currencies, gold, palladium, platinum and silver. So you can set the alert and key in the rate at which you want to make your transfer, then it will keep scanning the market every 10 minutes but you can reduce this to 1 minute. When the rate is achieved it will send an alert sound and alert icon. Last updated: 5 May 2015 New! Note: The market is close from 21:00 UTC Friday until 22:00 UTC Sunday. Weather Meter covers up to 3 million cities and towns worldwide, displaying high and low temperatures for the day, “feels like” temperature, humidity, visibility, pressure, wind speed and direction, cloud cover, precipitation, sunrise, sunset, day length, moonrise, moonset, moon phase, and more. Note: Versions 1.2 and earlier will no longer function after 22 May 2013. Digital Clock contains a few features that Microsoft Windows’ clock gadget doesn’t: computer uptime, alarm, and event countdown. Amazon Search is a simple and convenient gadget that allows you to search Amazon in 9 different countries. GPU Meter is a very useful gadget for monitoring your GPU (graphics processing unit) or graphics card. It displays information related to your GPU (vendor, model, clock speed, temperature, usage), memory (clock speed, usage), fan (speed, usage), shader clock speed, PCB temperature, and memory controller. Note: If you select to use the PC Meter method from the settings, make sure PC Meter application is running in background as administrator. Battery Meter is a very useful gadget for monitoring your battery. It displays your notebook’s or netbook’s battery status, percentage remaining, time remaining, current voltage, charge and discharge rates, current charge capacity, and maximum charge capacity. It also includes flyout features that display all of your battery information. Drives Meter is a very useful gadget for monitoring all of your HHDs (hybrid hard drives), SSDs (solid-state drives), and flash drives. It shows your drive’s used space, free space, disk space, read and write speeds, and activity percentage. It also includes flyout features that display all of your drive information. Earthquakes Meter is a very famous gadget for Windows that monitors earthquakes around the world. It shows an earthquake’s magnitude, depth, location, and the time of the event with refresh rates of 1 to 10 minutes. Control System allows for simple, easy-to-click shutdown, standby, restart, logoff or hibernation of your computer from Windows Gadgets. World Clock is similar to Microsoft Windows’ clock gadget, but our clock also displays the digital time, the date, the day, and various world flags and other skins. Weather Widget is free use for private or commercial website. This widget will automatically display the most up to date current weather conditions for your location. IP Address Widget is free use for private or commercial website. This widget will automatically display the visitors IP address, country, region, city, latitude and longtitude on your website or blog. 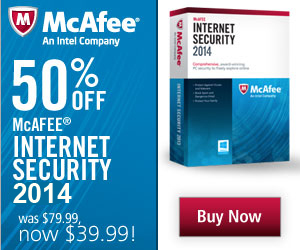 Save 50% on McAfee Internet Security 2014 for 3 PC - 1 Year! Now only $39.99 (Regular Price $79.99). What is Norton Secured Trust Seal? What is a computer software virus? How to Securing Your Connection with a Firewall? What is Firewall And How Does It Protect? What Is Hacking And How To Protect Yourself? We’re proud to inform our users that Softonic guarantee some of our windows desktop gadgets are virus free and scan with more than 30 antivirus engines. Antivirus engines include Kaspersky, McAfee, Symantec, Avast, AVG, Avira, Eset, Panda, BitDefender, TrendMicro, Emsisoft, AhnLab, Quick Heal, ClamAV, Comodo, Dr. Web, Aladdin, CA, Frisk, F-Secure, Fortinet, G Data, Jiangmin, Microsoft, Norman, Prevx, Rising, Sophos, Sunbelt and VirusBuster. Softpedia guarantees our Windows desktop gadgets is 100% CLEAN, which means it does not contain any form of malware, including spyware, viruses, trojans and backdoors.